In today’s era of emerging business and technology, each and every organization wants data to be compatible on different systems and accessible to a wide range of users. This is why the application developers make use of a technology called Web 2.0 development that includes multiple supports for platforms, system independence, and simple to be deployed. The associated web applications allow users to access interactive information. In contrast to other web applications where a user can only have a limited access o the passive viewing of the content, Web 2.0 application also allows interaction from other side of the Globe. To maintain the uniformity and standard, there is a usage of plug-ins and some of the software extensions used by the system. The predecessor of this technology was not having the functionality of information storage and dissemination capabilities. One more thing that it has made easier is the tagging of the content that makes searching things very simple without depending on any categories. In order to build such dynamic web pages, one of the excellent scripting languages can be PHP. This is robust and also supports Object Oriented Programming. PHP tools like RadPHP is something that gives a broad support to web servers and operating systems. 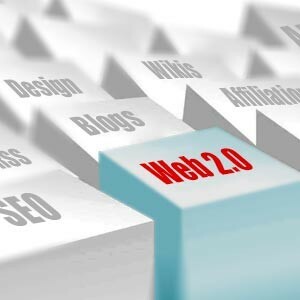 Different examples of applications developed based on web 2.0 development include social networking sites, wikis, hosted services, blogs and, so on. There are so many features added to this technology that were surely missing in the predecessors.